So my parents have 2 very lazy, lazy dogs who are pathetic in winter when it comes to the cold and really it isn't that cold! 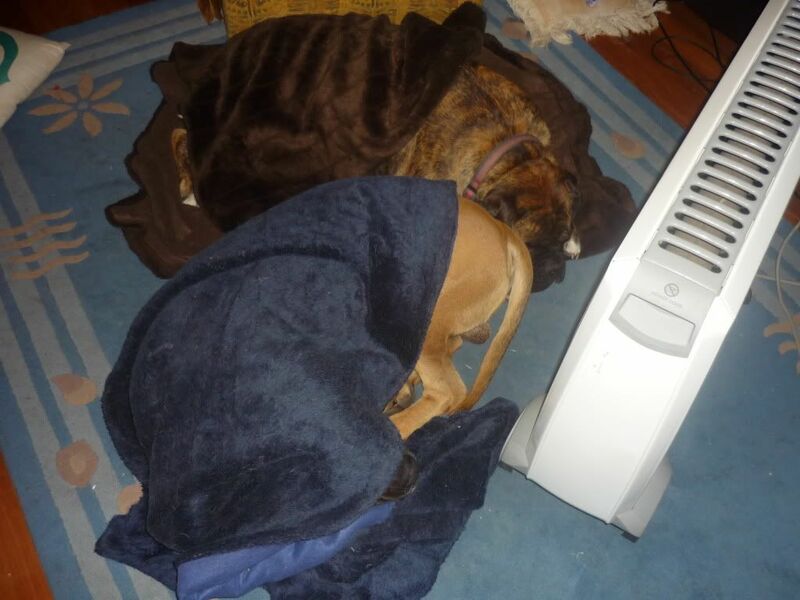 They curl up right in front of the heater and here I took a photo of them under a couple of blankets. Not worried one iota! Oscar is the one hiding right under the blanket he burrowed himself down and left his bum out in the air. Abby is just comfortable. 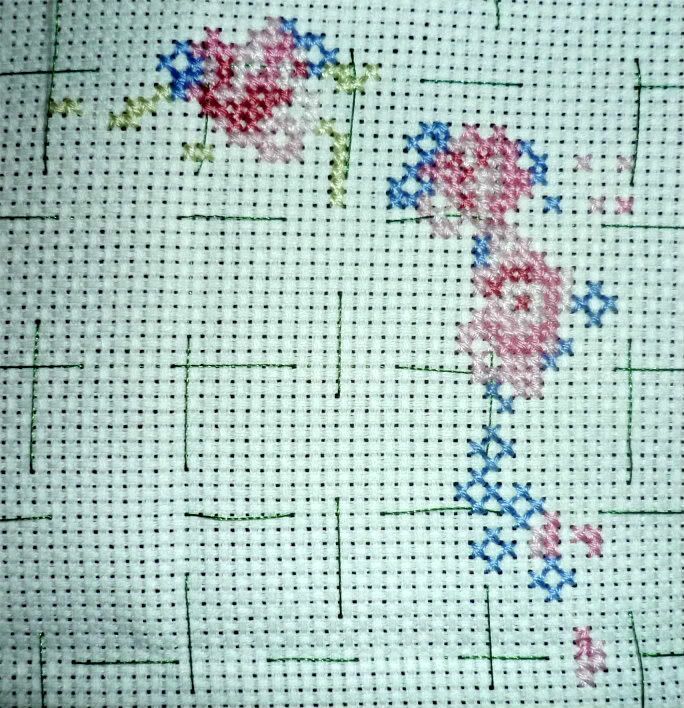 More colour on the flowers :D It is starting to get some nice shape down that side! I will get this done with plenty of time to go. It's due in September as we got the official wedding invite the other day. I hope they like this.